I had just come from the division president’s office and was chatting with my peers about who might be filling the newly vacated vice president position in our team. “Did you get any idea who he was going to get to fill the VP role?” one of my co-workers asked. “Well, I did actually”, I responded, uncertain how to proceed. At that moment I saw a look that I have seen several times in my career. Former peers, now new subordinates, do instantaneous mental math weighing my glaring capability shortfalls (which they know all too well) against the value of having their friend in a position of greater influence. In most cases the calculation is so quick as to be unnoticeable but be assured it happens. Every time. Unless you are a founder CEO of your own company or inherit a family business, you will probably advance by being promoted from one position to a more senior one. Each step has its challenges but the hardest? That’s easy. It is any promotion that makes you the new direct manager of your immediate former teammates. One lunchtime you are all out laughing about some dunderhead who is your boss and then the next morning you’ve become that dunderhead. It is a difficult promotion because of how some on your team might respond. A few may initially display resentment and disappointment feeling that the position should have gone to them. Even a good decision can be frustrating to others. It is important not to apologize for your selection or even to try and make them feel better. Only time and performance can do that. Rather your goal should be to understand their disappointment but point toward their continued importance in your organization in a way that they can reflect back upon positively days or weeks later when they have finally reconciled themselves to your selection. Far more challenging are those of your former peers who will be intrigued that their confidante and friend is now in a position to know juicy corporate gossip or influence their own advancement. I recall sitting in meetings where sensitive and interesting decisions were being discussed and the temptation to share this with my old team was intense. They, in turn, may press for information from you. It is critical to apply good judgment before sharing details with teammates and always defer toward discretion, even if doing so makes you look aloof and condescending to your buddies. “You’ve changed,” some may complain. These speeches deserve their place in popular leadership books. But in fact, the most intriguing suggestion of King Henry’s character is revealed long before, in a far quieter speech that is rarely remembered by leadership evangelists…but should be. Before Henry was King, he was Prince Hal, whose public house comrade was old Jack Falstaff, dissipate, carouser and comic relief. 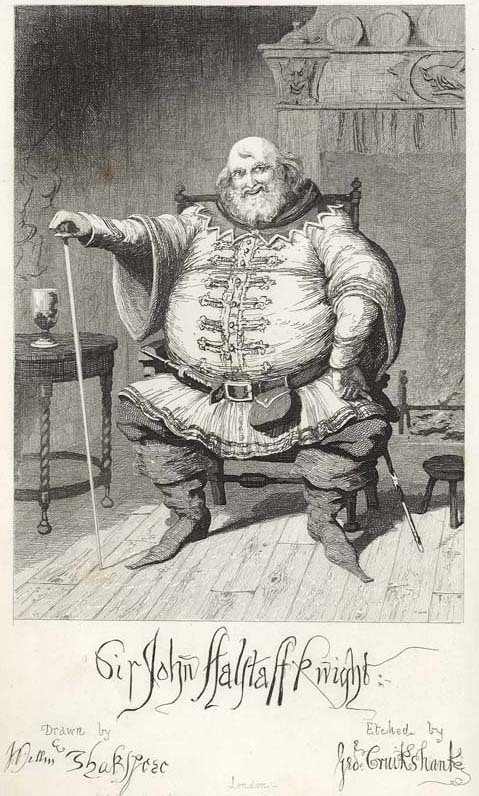 Falstaff was Hal’s connection to revelry and irresponsibility. Yet once the crown came to Hal, he needed to lift himself from who he had been and become the King that England required. That meant he could not retain the same relationships in the same fashion as before. Everything had changed. The speech that follows is both sad and cruel; in it old friend Falstaff is banished. But without it could there have been the later triumph at Agincourt? If not, then perhaps business leadership books might do well to make room among the famous military speeches in Henry V for this more poignant banishment speech at the end of Henry IV, Part 2, for it is the story of Hal’s own “promotion”. True, most of us won’t lead teams into mortal combat. And most of our former teammates are not conniving old dissipates like John Falstaff, but rather hard working colleagues. Nonetheless, Henry’s example shows us that to become the vocal leader of the mountaintop you first begin by embracing the quiet disciplines of the desktop. Among those quiet disciplines are confidentiality, objectivity, judgment, and adjusting for the responsibility of each new position even if it means a transition in your old relationships. At any promotion there is a temptation to imply to your team that “I will always be the same old Bob” or “Nothing’s changed. I’m still just Susan.” You aren’t. And whether they know it or not, they don’t really want the same old Prince Hal in a boss. They want and need the best of King Harry. There are times when music fits the mood exactly. We all have those songs we reserve for romantic evenings, for long distance runs, for studying or writing. Just because I don’t enjoy military marches sitting alone at home does not mean I want anything less than hearty, full Sousa at Independence Day parades. Few of us are so literate as to have a similar playlist of poets for each occasion. I certainly do not. There are, however, certain days and certain poets who seem to go together. 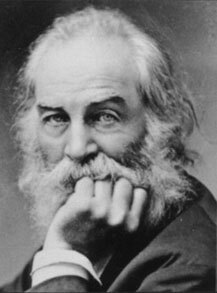 Tiny doses of Walt Whitman work best for me, but if there is ever a day to enjoy a full portion of the poet-priest of Americana it is on what he called, “America’s choosing day”, the day his beloved national community casts its votes. Just as belief must sometimes overcome priest and church to reunite with the divine, so willing citizens step into the polling booth confessional to reaffirm their faith not in a candidate or a party, but in the democratic process itself. So here is a Walt Whitman sampler for Election Day, 2014, a gift to partisans on every side. The first two call into question easy obedience; the last reminds us that now, as at the end of the Civil War, a nation must grow through adversity. And sandwiched in between is Whitman’s hymn to Election Day, 1884. As I stand aloof and look there is to me something profoundly affecting in large masses of men following the lead of those who do not believe in men.